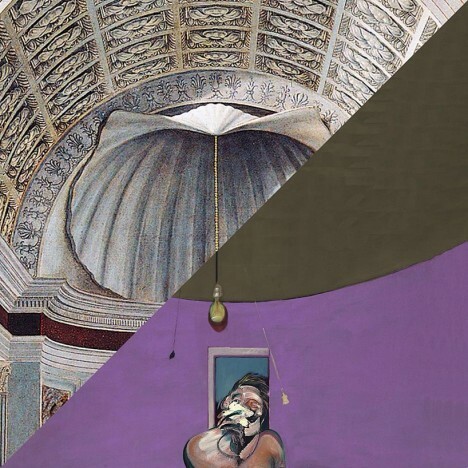 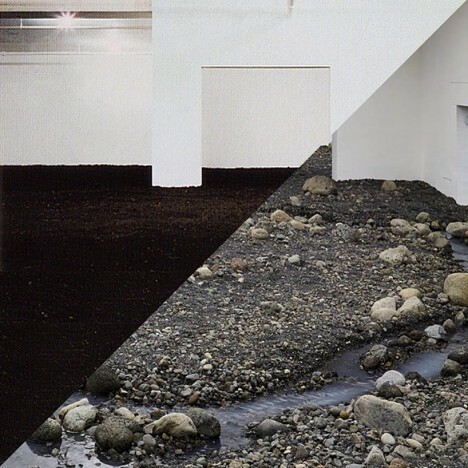 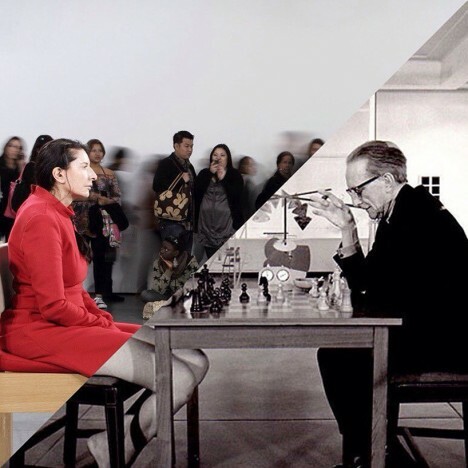 Diverse artistic disciplines from graphic design to architecture come together, crossing boundaries and merging eras, to bring the likes of Marina Abramovic and Marcel Duchamp together in this series of digital compositions. 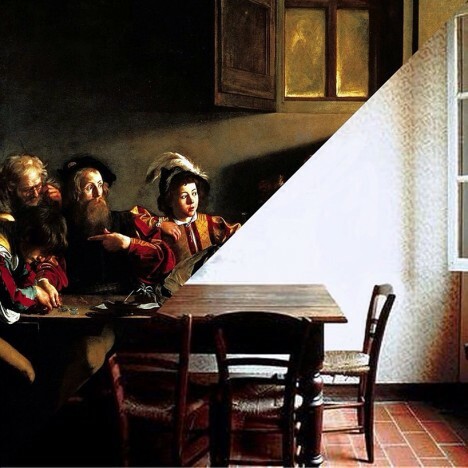 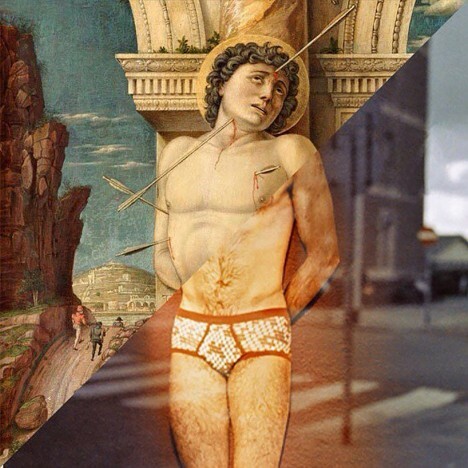 Italian architecture student Davide Trabucco diagonally bisects square-shaped sections of classic paintings, film stills, ad campaigns and photos of buildings and installations, putting them together in unexpected ways. 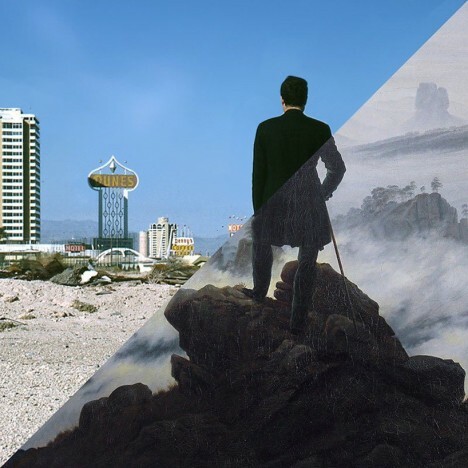 The series, entitled Confórmi, has artists, designers and architects stepping into each other’s work, juxtaposing mediums and genres that you’d never imagine seeing in one image. 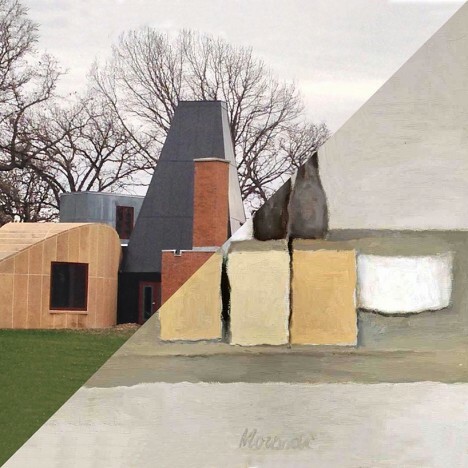 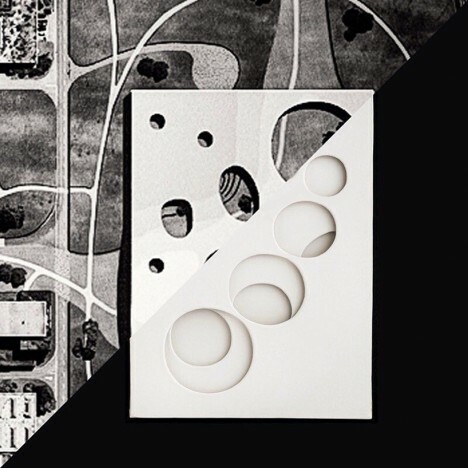 These seemingly disparate masterpieces seamlessly meld together, revealing the basic elements of design that they all have in common, like composition, color, lines, tones and textures. 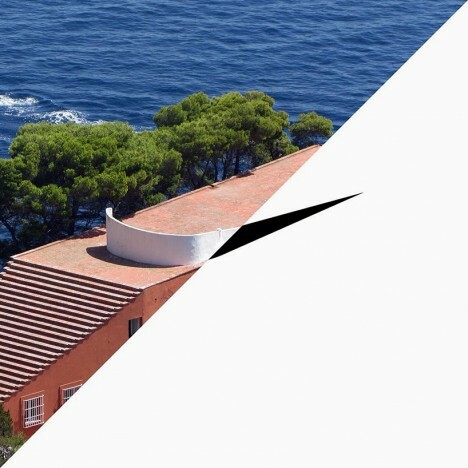 The Nike swoosh (designed by Carolyn Davidson in 1971) merges into the rooftop terrace of Curzio Malaparte in Italy. 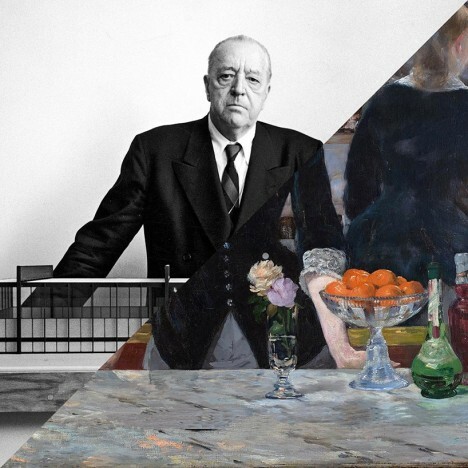 Architect Ludwig Mies Van Der Rohe steps in for the bartender in Manet’s famous 1882 painting of the Folies-Bergéres. 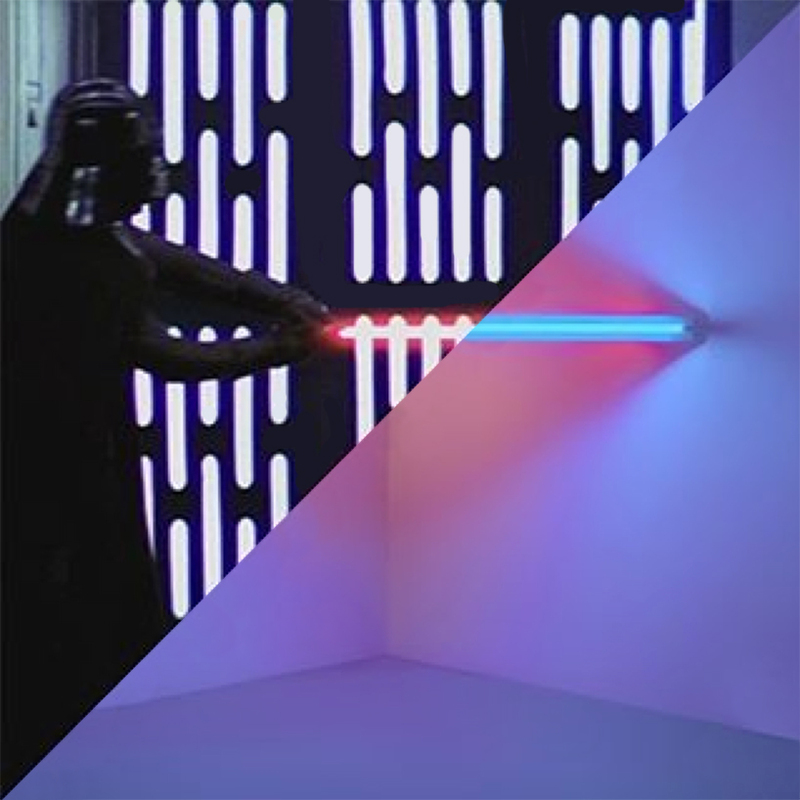 Darth Vader’s light saber becomes an illuminated gallery installation by Dan Flavin.